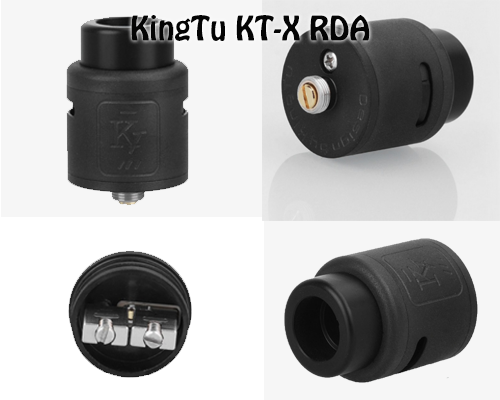 With Simple But Not Simple KingTu KT-X RDA $17.99! The KingTu KT-X RDA is a 24mm atty that features dual post design for easy building, adjustable side airflow for smooth vapor, gold plated positive pin for great conductivity, and both standard pin and squonk pin compatible. POM wide bore drip tip is included. It is just sold at $17.99on efun.top!